Click on one of the sub-menus to view products in that range. The full listing of Accucraft (UK) stock, including availability and recommended retail prices can be viewed here – dealers may still have items which are shown as ‘out of stock’ in our warehouse. 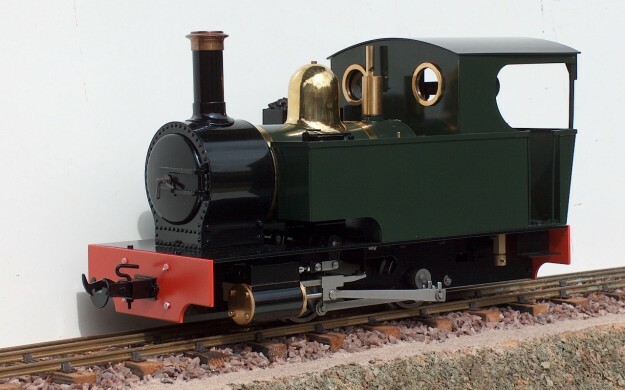 Accucraft (UK) produces a range of locomotives and rolling stock encompassing 1:13.7 scale (22.5mm / foot), 1:19 scale (16mm / foot) which are largely based on British prototypes for 32mm (0 gauge) or 45mm (1 gauge) track, 1:20.3 scale (15mm / foot) modelled on Isle of Man 3′ gauge stock for 45mm (1 gauge) track and 1:32 scale standard gauge models on 45mm (1 gauge) track (see separate sub menu).